* * Disclaimer: I have added affiliate links to this post, which means if you click and buy I will earn commission. It helps me keep Earth Lists going, so thanks in advance. It's 26km away from Ljubljana and roughly takes 25 minutes. Taxi’s cost around €35 one way. Bus 28 departs every hour from the airport to the city centre, and costs €4.10. If you are hiring a car, walk out of the main terminal and directly across to the building in front of you. Ljubljana is a small city and flat. Walking is the best way to see the city, so make sure you pack a comfy pair of trainers. However, like Copenhagen, the city is bike friendly with designated lanes. Use Bicike(LJ), these 38 bicycle stations are dotted around the city. You have to pay a registration fee of €1. Six hours will cost you about €15, however, the first hour is free, so if you are savvy you can ride to you location dock the bike and pay no more than €1. Bargain. If you are planning on being in Ljubljana for more than 2 days I would strongly suggest you hire a car and visit Lake Bled, Piran, Trieste, Triglav National Park or Vintgar Gorge. Slovenia is quite cheap in comparison to its neighbouring countries. On average I paid €3 - €4 for a glass of Wine or beer. A meal for four with starters, mains and drinks was no more than €75. Ljubljana is super small compared to other cities so accommodation options are limited. I stayed in an Airbnb, a 10 minute walk out of the city because the hotels were full the week we decided to go. However, there are a few boutique hotels doted around and I took note of a few that I liked the look of. Firstly, there are two on Gornji trg, *Allegro and *Lesar, both are boutique hotels and are situated on the cutest street in the old town. One of these would be my first option. If not, check out *Hotel Cubo which is on the other side of the river but has outstanding reviews. Prices vary but you will be paying around €120 per room per night. Take a look at Booking.com deal finder to get your search underway! 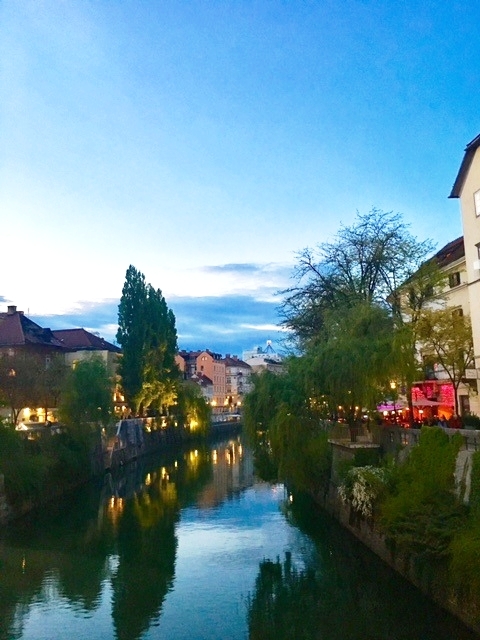 As Ljubljana is so small, I wouldn't say there is tons of sightseeing to do, which I love as sometimes we get so preoccupied with list ticking we don't get to explore. There are lots of pretty squares, streets, architecture and museums to check out though. Here are some of the top things you can do. This is the main square in Ljubljana and what a beauty she is. Here you will find the triple bridge and the gateway between the Old Town and Shopping area. High End Luxury Department Store with one hell of an impressive Art Nouveau staircase. Even if you don't fancy splashing out on a fancy handbag or manbag, it's worth a look for the staircase alone. The Castle is literally on the hill (cue Ed Sheeran song) overlooking the city. Take the Glass Funicular Up, a single ticket is €2.20. Castle entry with Funicular is €10. Now I was a little underwhelmed when I got to the top, so for me it's not high on my priority list, however, if you like Funiculars and exploring castles, eat your heart out. Ljubljana’s symbol is a dragon, they are everywhere. Plecnik designed the bridge and quite a lot of Ljubljana. It's a lovely stroll down to and is on the more quieter side of the city. Two of my favourite cobbled streets. Full of restaurants, Boutique shops, Bars and stunning architecture. Odprta Kuhna ( Food Market) – Every Friday Spring and Summer. Luckily, I was there to enjoy their 100th Celebratory party. It's a must to eat here if you are visiting on a Friday. Local Restaurants have pop up stalls and there are many international cuisines. Dishes vary from €4-6 Euros, wine is €2.50 and beer €3.50. Grab a few different plates and share. You can sit by the River and soak up the chilled vibes. Strolling alongside the River is a must day and night.The vibes completely change at night, when the city becomes more, well, lively. The sound of music and chatter is the air, soak it all up with a glass of Movia Merlot in one of the many riverside bars. Cafe Romeo and Tozd were particularly ambiant at dusk. Unfortunately, I didn't get the chance to visit Tivoli Park as I had a lot to cram in. However, if the weather is nice and you have a spare couple of hours, do have a wander around these impressive gardens. If you’re looking for a guided tour, check out Get Your Guide below for the best selling options. One of my favourite meals in any country, no wonder it was packed out most nights. Make sure you reserve a table here. Surprisingly, inexpensive considering just how delicious the food was - we paid €72 for 4 people (mains, wine and beer). The Best Pizza in town. Recommended by our host, I am so glad we decided to stop here for lunch. Affordable and tasty with a huge selection of pizza's to choose from. Pizza's range from €5 - €9.50. A little walk out of the centre but is worth it. Be warned, it is closed on a Sunday and Monday. I stumbled upon AS Aperitivo and I am so glad, this dinner was incredible. I can only describe this restaurant as Italian LUXE, the interior is stunning. The service was second to none and the food was delicious. I had Tortellini and Parma Ham and washed it down with a local Pinot Grigio...oh take me back. Prices weren't bad at all, averaging €15 for a main and drink. Hands down the prettiest café I've been to. With a smorgasbord of tasty cakes and chocolates to sample, you will be spoilt for choice. We couldn't help ourselves and had four cakes as well as a bag of chocolates, which came to €25. The waiter knows his stuff so ask him to point you to your perfect treat. Your Welcome! Simply, the best breakfast I had the whole trip. 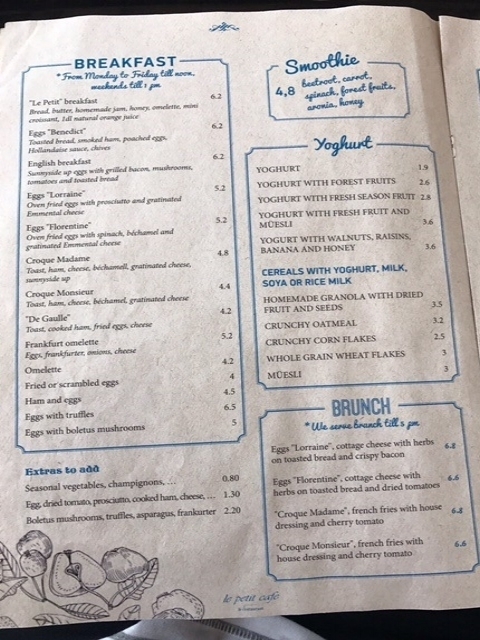 This French - styled cafe has a wide range of breakfast items at affordable prices, we paid €34 for four people including two rounds of hot drinks...bargain. It's an Interior Designers' dream here. Full of greens, hanging plants and ultra modern, with a small comic book stall thrown in for good measure. Free Wifi and the coffee is Damn Fine. It's located on the main street in Old Town so make sure you stop here. Ljubljana is full of the quaintest and cutest boutique shops as well as main stream stores. As mentioned previously, if you want High End luxury make sure you visit Galerija Emporium or head to BTC and City Park Shopping Centres. There was so many amazing things I wanted to buy. GUD reminds me of the boutique stores in Copenhagen, filled with Scandi Goodness. I especially love the Ljubljana prints, check out the one I brought below, accurate, cute and now on my wall. Not only does it have the coolest name (we love you Kate Bush), it has a wide range of the cutest home ware products and gifts. From Jewellery, to prints, to collapsible shelves and Air Plants, there is something for everyone. Without a doubt, go to Movia and get tasting Slovenian Wine, in my opinion, some of the best wine I've tasted. The Wine connoisseur here knew everything about each wine and took us on an informative and delicious journey through the regions of Whites and Reds. We also ordered a glass of Orange Wine (never knew Orange wine existed!) it's Red grapes treated like white. Prices were great too, as you can see below €10 - €16 for four glasses. We paid €18 per person for a sampler of White, Red, glass of orange and nibbles...I love Slovenia.